Enniscrone Golf Club is located in the north-west of County Sligo overlooking the Atlantic Ocean, 6 miles north of Ballina. 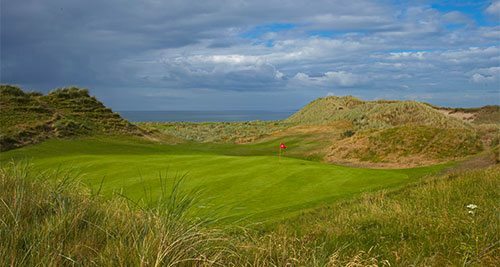 This Course is known to be the premier links on the Western seaboard and boasts a magical links experience. 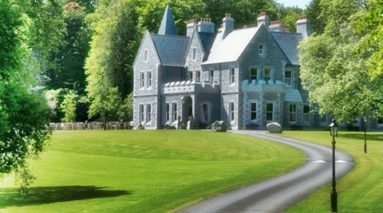 The golf course affords panoramic views of Killala Bay, Bartra Island and sandy beaches with Nephin and the Ox Mountains forming the backdrop. From the opening approach, it provides a challenge of the highest quality and some supremely memorable golf holes. 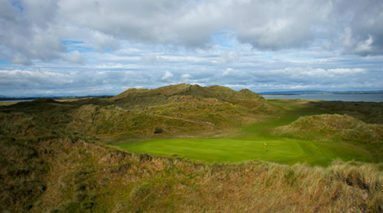 Apart from the championship links known as The Dunes, there is also the splendid 9-hole Scurmore course. Take in the unique experience that is a seaweed bath. A Steam health bath filled with hot sea water and seaweed has a range of therapeutic benefits as the high concentration of vitamins contained in the seaweed serve to relax and refresh the body and mind. 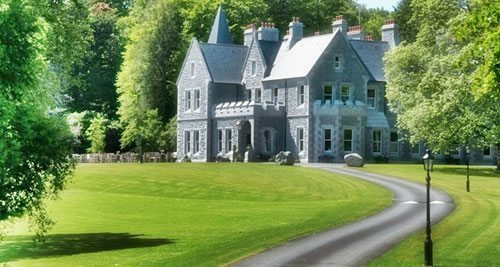 This site is a monastic settlement, and also the burial place of the famous Irish Poet W.B. Yeats. 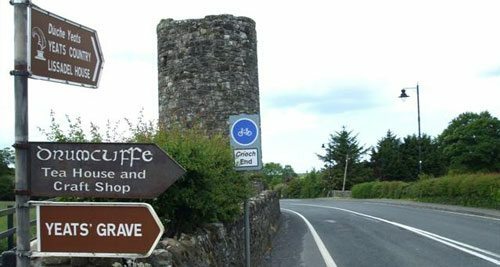 It’s importance dates from 574 AD when St Colmcille founded a monastery here. The remains of the monument are that of Sligo’s only round tower or bell tower, a high cross and a fragment of a plain high cross. Only 8.3m of the tower survives. The rest was demolished to build a bridge in the 18th and 19th centuries. The High Cross is an excellent example of a figure sculpted cross and dates from the 10th century. The east face also has scenes from the Old Testament.